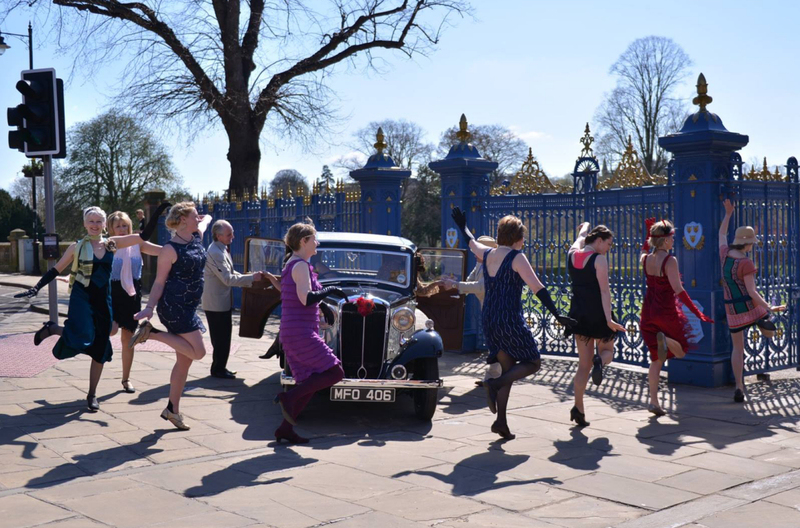 In an attempt to see Shropshire in the Guinness Book of Records in a fun, active and inclusive way, Revel in Dance is getting Shrewsbury in a flap! The aim is to break the current Guinness World Record for the largest number of people to dance the Charleston at one time. The current record is 975 people and is held by ‘Swing Patrol’ in London; so with this hefty figure to beat Revel in Dance really needs your feet! The record attempt is set to take place in Shrewsbury’s Quarry Park at 1pm on Saturday 22 September 2018. Sarah Bright, owner of Revel in Dance decided to organise this event to bring the community together, raise awareness of the benefits of dance and as a way to raise funds for Severn Hospice. Rules for the record attempt are quite stringent, so in the lead up to the event, participants will need to attend one of eight workshops in August and September to learn the routine. “The routine itself is very easy to learn and accessible to all levels of dance experience so please don’t be put off if you have never danced the Charleston before!” Sarah assures. At the workshop participants will learn a short piece of cheeky Charleston choreography, which will be repeated for a 5-minute duration at the record attempt in September. “In order to achieve a new record, we not only must exceed 975 in numbers but also dance the choreography for a full 5 minutes, accurately and in unison. It is for this reason we can only really open the event for children 10 years and above only,” Sarah adds. The routine will also be available on YouTube for people to practice to after the workshop. “We are asking for a registration donation of £3 for adults and £2 for children to participate – and people are welcome to donate more as all the registration funds raised will be donated to Severn Hospice,” Sarah adds.